Cheap London Hotels offer comfortable accommodation without unnecessary expense. By booking through TravelStay you can enjoy quality accommodation for a very reasonable price. Our Price Promise Guarantee ensures that you just won’t find a cheaper London hotel price on the Internet. (Terms and Conditions Apply). At TravelStay, standards aren’t sacrificed for price. You can choose from a range of cheap London hotels, from the cheap, basic and convenient European Hotel London, to the superior quality, heavily discounted 3 star York House Hotel London. There are budget hotels in London suited to every type of traveller, so whether you are here to study, see the sights or are on business, we will help you find the right hotel, in the right location, at the right price! Ascot Hyde Park Hotel is based on the verge of Hyde Park, and minutes from Paddington Station where you can catch tubes all over the capital, as well as the Heathrow Express train. You'll get a convenient base to stay in this cheap London hotel, and a basic yet cosy ensuite room to rest your head in. You will be provided with a complimentary breakfast and free wireless internet access too! Belgrove Hotel offers you really cheap London hotel accommodation in a fantastic Kings Cross location. Stay here and you’ll be able to walk to the British Library, catch a tube to places like the Houses of Parliament, and get on a train to Paris from St Pancras International nearby. As this hotel occupies such a fabulous location and even includes a full English breakfast in its room rate, this more than makes up for the fact that this inexpensive London hotel is in need of refurbishment. You can book a compact and basic room here, with either a shared bathroom or an ensuite. Holly House Hotel is a London budget hotel with really affordable rooms in an amazing location. Stay in one of the simply furnished rooms here (with either a shared or private bathroom) and you’ll be situated in Victoria, Central London. You’ll find world famous attractions like Buckingham Palace within easy walking distance, so you can stroll to watch the Changing of the Guard ceremony after your continental breakfast. You will also find Westminster Cathedral nearby, as well as some of London’s major transport links like Victoria Train Station, Victoria Coach Station and Victoria Tube Station. Book this Victoria B&B from just £18.50 per person per night. Another option for cheap London hotels is the Comfort Inn Group. A Comfort Inn Hotel in London can cater to both your needs and your budget. If you're heading to London on a business trip, Comfort Inn Edgware Road is the ideal choice for you as comfortable rooms are well equipped with high speed internet, a phone and a convenient work space. If you're looking for a cheap London hotel that is close to several tube lines and stations you should stay at Comfort Inn King's Cross, just a short walk from King's Cross, St Pancras and Euston. For a cheap London hotel within walking distance of some of the most popular tourist attractions you could stay at either Comfort Inn Buckingham Road or Comfort Inn London, with famous places such as Westminster Abbey, Houses of Parliament, London Eye and Buckingham Palace a short stroll away. Montana Hotel is a stylish two star London hotel, situated in the King's Cross area of London. This cheap London accommodation offers a tasty all-you-can-eat buffet breakfast - ideal preparation for an exciting day of sightseeing. Bluebells Hotel offers budget saving accommodation in fashionable Notting Hill. This cheap London hotel is a short walk from Hyde Park, Kensington Palace and Notting Hill Gate Tube Station. Melville Hotel is a London budget hotel offering basic, cheap rooms with access to a shared kitchen right in bustling Kings Cross. You'll find Kings Cross, Euston and St Pancras International stations nearby, as well as attractions like the British Library and the British Museum. Majestic Hotel is situated in vibrant Earl's court, so getting to the Earls Court Exhibition Centre from this two star London budget hotel is easy. You'll find stylish rooms, a full English breakfast and an Italian restaurant here. Cheap London hotels offer a wealth of choice, from stylish to simple, and on TravelStay the cost remains affordable. In London finding a bargain is a real benefit, as the money you save on London Hotel accommodation will allow you to enjoy even more of what the city has to offer. Find the same room for less and we will refund you the difference. TravelStay.com: Specialising in cheap London hotel since 1999! 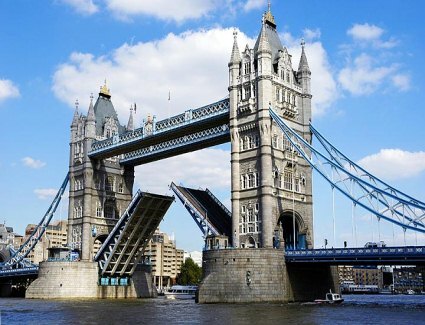 Chose from over 68 london bed and breakfast hotels; 8 Holiday Inn London hotels; and over 126 cheap central London hotels!